Very well kept 2 bedroom end of terrace property in a quiet cul de sac in Quedgeley. Tenants have been in situe for over 3 years. Property comprises of entrance hallway, kitchen, lounge/diner opening onto the garden; 2 double bedrooms and family bathroom. Further benefits include parking on driveway and external private garden. 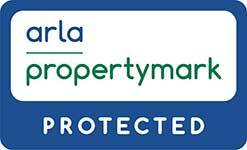 EPC rating C. Fully managed by CGT Lettings. This property has a lot of potential and is currently achieving £595 pcm.